Created in 1990, Betvictor.com focuses on sports betting, casino, poker and slot machine games. Owned by Victor Chandler (International) Limited, it is part of the continuing success story that first began in 1925 with William Chandler and is operated and licensed by the Government of Gibraltar. Its games catalogue is powered by a number of well-known games providers and a wide range of credit and debit cards as well as e-wallets are accepted for processing payments. Betvictor.com’s games collection is provided by a wide range of well-known games providers ensuring a great variety of high quality, entertainment for registered clients. Examples of such providers include the highly renowned and popular Netent and Microgaming as well as the lesser known Chartwell. With a collection consisting of over 450 slot machine games, fans of the genre are adequately catered to. Video poker and jackpots are also provided by the casino. Sports betting are also an important part of the site with betting being available for games of all major sports such as football, horse racing, golf, greyhound racing, rugby, cricket, snooker, NFL, NHL, NBA, college football and baseball. First time players at Betvictor.com are eligible for a generous 200% first deposit bonus of up to $1,000. The bonus releases in 10% increments at $1 for every 8 Action Points earned. New clients are also eligible for participation in the €500 New Player Freerolls and the €500 GTD New Player Turbo tournaments for their first six weeks on the virtual casino. All players are eligible for the Deal of the Week and must select the opt in option on the Deal of the Week forum thread forum thread in order to be eligible for the relevant promotion. Additional promotions are also regularly featured and include: Bounty Hunter, Crush the Coach, Cash Game Caravan, Jurassic Park – Casino in Poker. For further information on these promotions as well as the full range provided by the casino, clients may consult http://www.betvictor.com/poker/en/content/promotions. Betvictor is licensed and regulated by the Government of Gibraltar Licensing Authority and the Gibraltar Gambling Commissioner respectively which are also responsible for a number of other key players in the online gaming industry. Clients can therefore be certain the casino is fully legitimate and capable of providing the services required by a key virtual casino such as being able to pay clients their winnings, protecting vulnerable clients and minors and ensuring fair gaming practices. Betvictor is a member of ESSA which oversees integrity in sports betting in European based casinos ensuring that they are free of criminal influence. The casino is also a member of the Independent Betting Adjudication Service (IBAS) which serves as an impartial adjudicator using their specialist knowledge to mediate on disputes between clients and games operators which may persist after the operator’s own procedures have been followed. Betvictor.com mainly caters to clients from Europe such as the United Kingdom, Sweden, Norway and Germany. The website also accepts clients from Israel. Armenia, Hong Kong, Malaysia, Maldives, Myanmar, North Korea, Syria, Turkey, France, Norway, Spain and Ukraine. Once a client has logged into Betvictor.com’s members’ they will be able to check their bonuses, balances as well as promotions they are eligible for. They can also gain access to different game categories such as sports, slots, live casino and card games as well as customer support. Clients who wish to play for cash will be able to process instant deposits enabling them to participate in tournaments and jackpots at any time of their choosing. Credit and debit cards such as: Visa Electron, Visa Delta, Switch, Solo, Maestro and Laser Cards. Major e-wallets: PayPal, Skrill (This service is unavailable to players from: the United States, Turkey, Israel, China, Malaysia, Afghanistan, Nigeria, Ukraine & Myanmar), Ukash, Neteller (only available for transaction in Euros, Dollars and Pounds) and Eco. Bacs and bank transfers are also accepted and may take four and three days respectively within the UK. Detailed information on using these payment methods can be found on: http://www.betvictor.com/poker/en/content/support/payment-options. Betvictor.com’s loyalty scheme awards players with action points which can be used as cash for entering into tournaments and redeemed for real money. Action points are used to determine clients’ VIP levels and the amount of cashback they are eligible to receive. It is also worth noting that action points must be used within a month as they will expire once that period of time has elapsed. Additional information on Betvictor.com’s loyalty scheme can be found on http://www.betvictor.com/poker/en/content/promotions/vip. Betvictor.com accepts currencies in all major currencies and permits a minimum deposit and withdrawal amount of $5. Withdrawals for Visa and MasterCard are free of charge and have a maximum limit of $5,000 and charges made will be shown as VCI on clients’ statements. All withdrawals are subject to a 72 hour period although they may take 3-6 days for credit cards. BetVictor reserves the right to cancel and re-process withdrawals in accordance with card scheme rules. Betvictor.com’s friendly and efficient customer care team are available 24 hours a day and 7 days a week. Clients may contact the team using instant chat, phone, email (available all year round for poker support via [email protected] ). Betvictor.com has been praised by clients for its large and rapid payouts as well as the fact that it permits withdrawals in larger amounts than its competitors. Its betting options and sports coverage have also been listed as strong points as well as the friendly, professional approach of its customer services team. 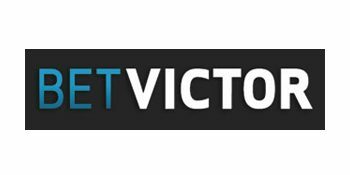 Betvictor.com is part of the Victor Chandler group and is one of the most popular and successful virtual casinos currently in operation. The online betting establishment is multilingual and caters to speakers of English, German, Italian and Mandarin. It is regulated by the Gibraltar Licensing Authority (GLA) and the Gibraltar Gambling Commissioner and provides a four tiered action points based loyalty scheme. In addition to sports betting it offers a large selection of slots and features games provided by NetEnt, Microgaming and Chartwell.